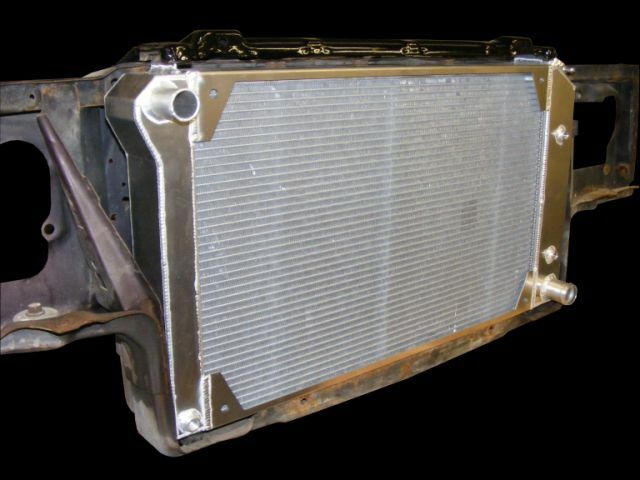 RnD Fabrication presents our line of 1978-1988 G-Body Custom Crossflow Radiators! These are a direct fit for the 1978-1988 line of GM cars including the Monte Carlo, Malibu, El Camino, Regal, Cutlass, Bonneville, Grand Prix and Caballero. 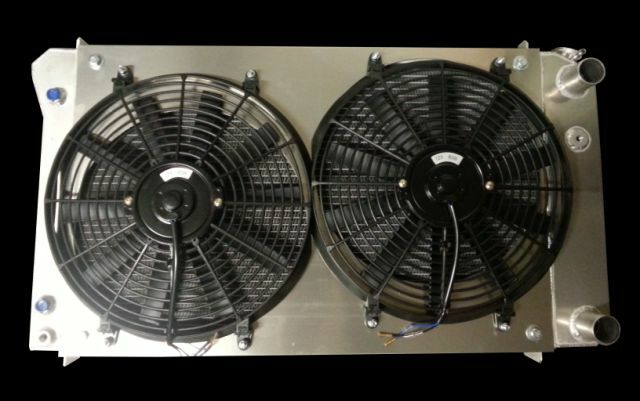 The basic price of this radiator is $450.00, and we can add our shroud and electric fan kit for an additional $240.00 if desired (note that you must use a Cutlass style top plate for this configuration). We also offer a thermostat switch for $75.00. All of our radiators are built with mounting tabs for our shrouds, meaning you can always add the shroud and fan kit later if you choose. If you prefer, you can also use your stock fan shroud with minor trimming. If you have installed a non-original motor or conversion engine, please let us know prior to ordering so we can place the inlet and outlet on the correct side of the radiator. We can make these for LS Conversion with both ports on the passenger side and with or without the steam port, at no additional charge!